Greetings from Texas and a kindred spirit, mostly. I too am fascinated by the history of railroad construction but in a narrower way than yourself. My focus has been on the Chinese who helped build the SPRR thru the great southwestern deserts into Texas in the early 1880s. Last year I published the definitive history of the Chinese in Texas, thus far, and naturally told the railroad story. I've walked their camp sites in far West Texas and others near Langtry close to where the East and West bound lines connected in Jan. 1882 by the Pecos R. Your images from the Nevada region are very enjoyable and familiar in some ways for the relics still lying about. I'm guessing that the pile of stones you show was a hearth used for cooking as they resemble those in Texas. 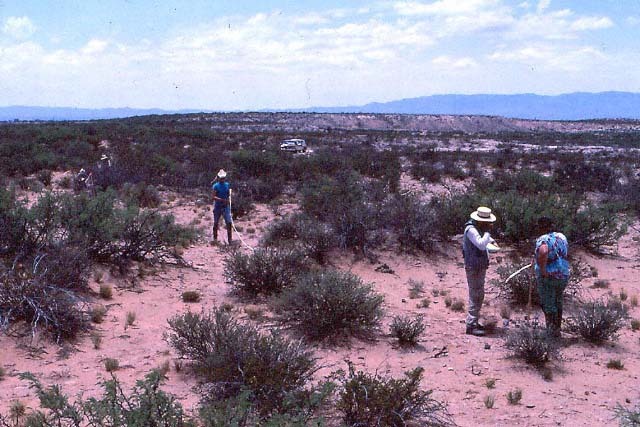 The attached photo shows archaeologists surveying a large camp ground near Sierra Blanca and each man is standing at a hearth and amidst many others. 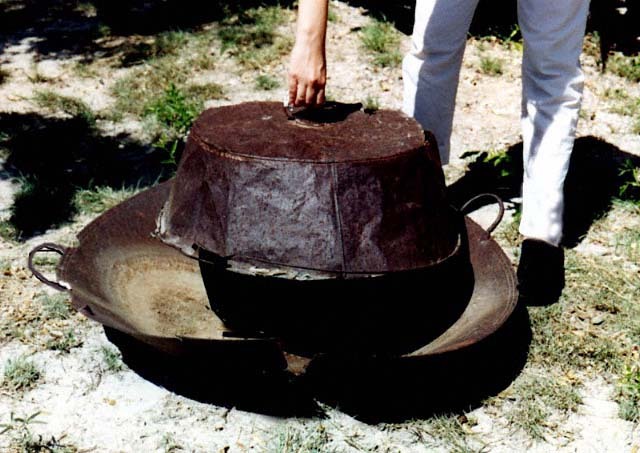 The other is a wok and its lid left behind in a camp near Langtry long ago.